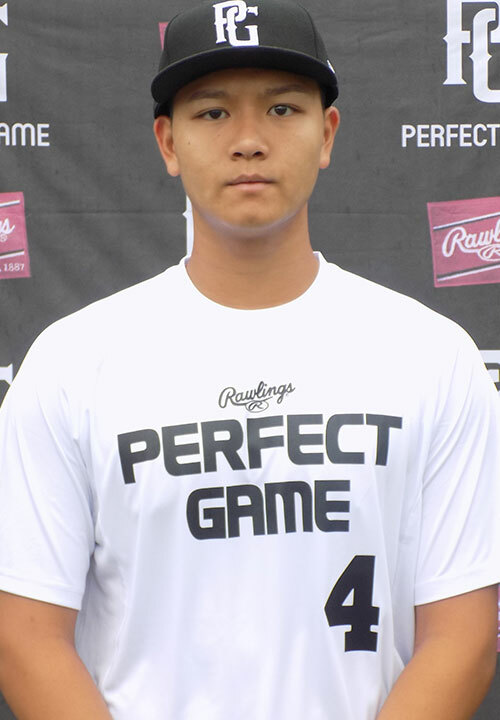 Ian Li is a 2019 RHP/3B with a 6-2 190 lb. frame from Marlboro, NJ who attends Marlboro. Large frame with long limbs and an athletic build. Primary right handed pitcher, worked exclusively from the stretch. Medium leg lift and stays balanced at gather. Utilized lower half well while driving to the plate. Lands in line and carries momentum to glove side at finish. Clean arm circle at take back and released from a high three-quarters arm slot. Fastball generated good jump out of hand producing downhill tilt through the zone in the low to mid 80's, topped at 85 miles per hour. Curveball had 11/5 shape with tight spin and late depth. Maintains arm speed well with breaking ball creating good deception to hitters. Also flashed a changeup that showed sinking action to the bottom of the zone in the mid 70's. Consistently changed speeds and kept hitter off balance. Named to the 2018 Mid-Atlantic Prospect Showcase, Top Prospect List.